Ta’ Qali National Stadium is the national stadium of Malta and the largest stadium on the island. It was built to provide the island with a new and modern national stadium, replacing the old Empire Stadium in Gzira near Valletta. The stadium officially opened on 14 December 1980. It was built on the site of a former RAF airbase not far from the historic city of Mdina. 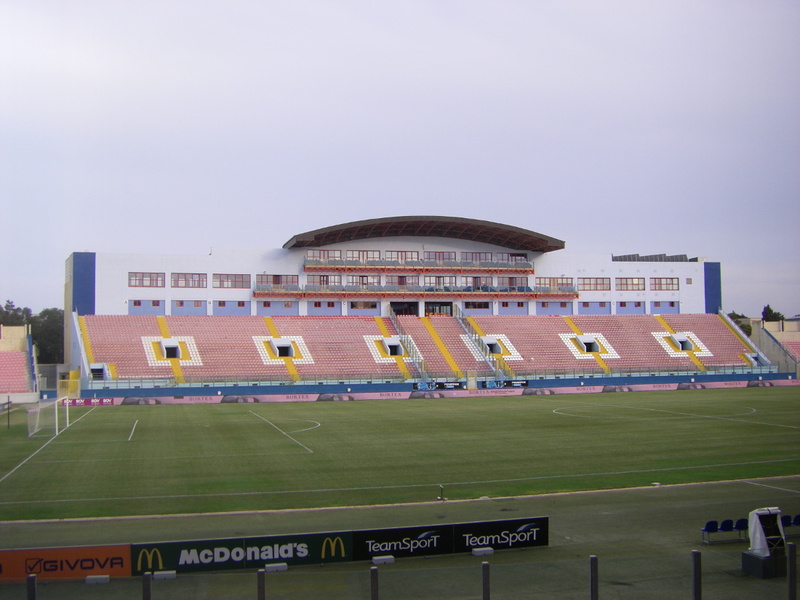 In 2002, a new main stand was built, which also houses the offices of the Malta Football Association. Besides being the home of the national team, Ta’ Qali Stadium, alongside Hibernians Stadium and Victor Tedesco Stadium, is also one of the three stadiums used to host Malta’s top flight matches. Ta’ Qali National Stadium is located in the centre of the island of Malta at roughly 9 kilometres west from the capital Valletta (and a similar distance from the Sliema and St Julian’s tourist areas), and a little over 1.5 kilometres north-east from the historic city of Mdina. The stadium is clearly visible from the city walls of Mdina and can be walked to from the old city in about 20 to 30 minutes, though Maltean roads aren’t the most suitable for pedestrians. Bus 56, 186, and 202 furthermore connect Mdina (and Rabat) with the stadium. Bus 56 is also the bus to take if you’re coming from the capital of Valletta (from the main bus station just outside the city walls). Buses run once an hour for the 30-minute journey. An alternative is catching one of the regular buses that connect Valletta with Mdina (e.g. 50, 51, 52, 53, and 250) and get of at stop Qali Interchange. It’s a 15-minute walk from there or change to bus 56, 186, or 202. If coming from Sliema or St Julian’s / Paceville, catch bus 202. Buses run once an hour for the approximate 1-hour journey. Take bus 186 from St. Paul’s Bay (Bugibba). From the airport, which lies further south on the island, catch bus X3 and, after 45 minutes, get off at stop Qali Interchange. Walk for 15 minutes to the stadium or change to bus 56, 186, or 202. 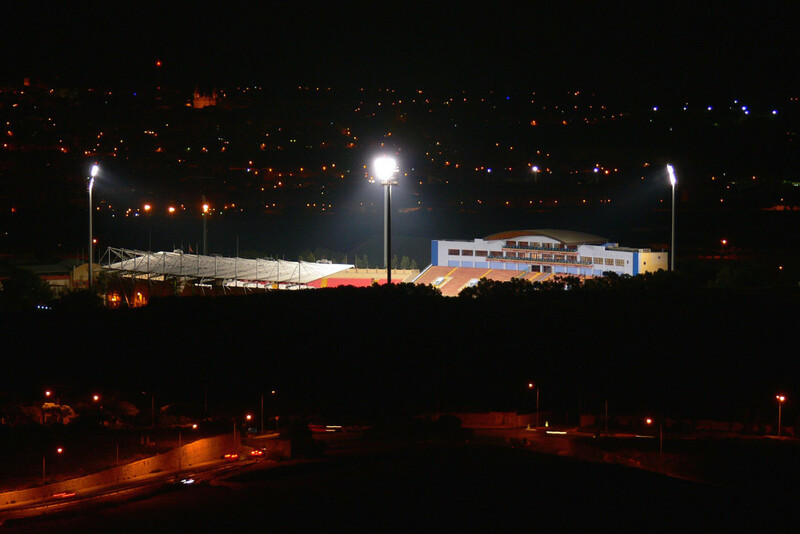 Ta’ Qali National Stadium is located in the countryside just outside Malta’s main urban area. It is surrounded by farmlands and a complex including other sports facilities, a convention centre, the Malta Aviation Museum, and a crafts village. It’s a quiet area with little around in terms of eating and drinking, which is better done in nearby Mdina or in Malta’s tourist areas. 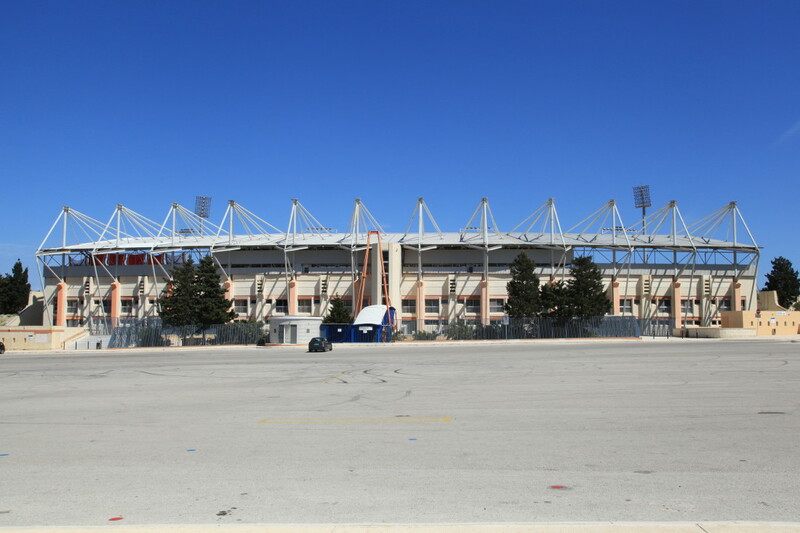 There are no hotels directly near Ta’ Qali National Stadium. If you wish to stay close, stay at nearby Mdina or Rabat. Most will decide to stay in Malta’s tourist areas though, for example in Valletta‘s old town, Sliema, or Saint Julian’s. 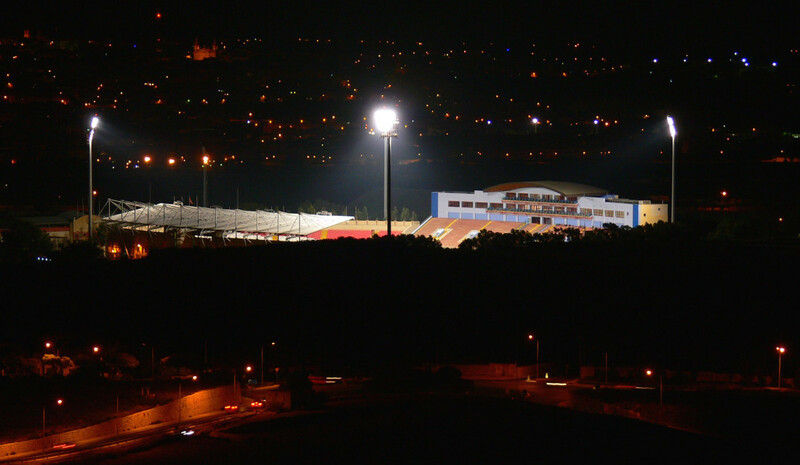 Click here to explore the hotels near Ta’ Qali Stadium and elsewhere on Malta. Tickets for Malta matches can be bought online, at the MFA offices at Ta’ Qali Stadium, or from any of the other official retail outlets. Centrally located outlets include Eros Stationary at 33 Triq Il-Wilga in Paceville, the Matrix electronics store on Republic Street in old Valletta, and the Matrix store at SkyParks Centre at Malta International Airport. If not sold out, and this is generally not the case, tickets can also be bought at the ticket booths of Ta’ Qali Stadium on the day of the match. Expect to pay from €10.00 for a seat behind the goal to €25.00 for a seat at the West Stand. Mfa.com.mt – Official website of the Malta Football Association. Publictransport.com.mt – Malta public transport information.